Recovery nutrition is so important for runners. Smoothies are my go-to source for refuel, since they are easy to make, delicious and offer all the nutrition a runner needs. A few ingredients I always through into my smoothies (or smoothie bowls) are spinach, bananas, almond milk and peanut butter. It's necessary to quickly consume a mix of carbs and protein for muscle repair. 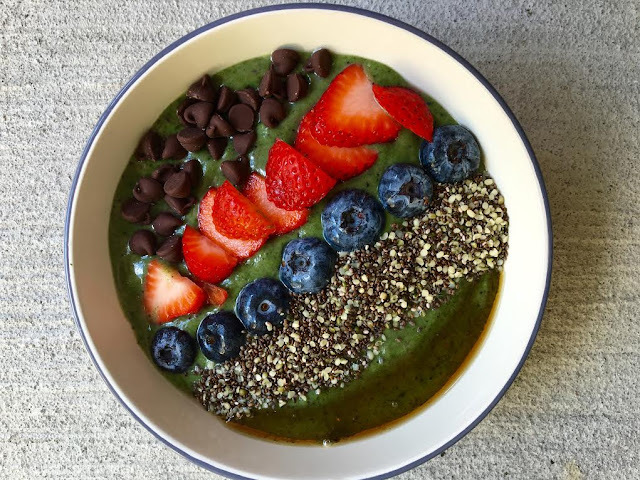 My typical go to treat after a run is a green smoothie but I recently had my first smoothie bowl and I am in love! I recently got the brand new Nutri Ninja Auto-iQ Compact System and it was the perfect device for making a Smoothie Bowl. I was introduced to this machine at BlogHer in NYC over the summer and was amazed at what it can do. 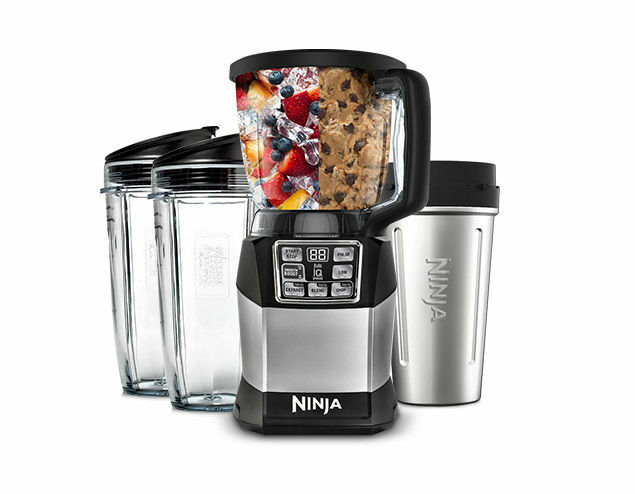 If you are using a Ninja, Place on the blender, select Smooth Boost, then Auto IQ Blend. If you are using another blender, use the Ice Cream or Smoothie feature. One of my favorite features of the Nutri Ninja Auto-iQ Compact System is that it is multiple devices in one. It's a food processor, chopper, grinder, blender and more. The precision processing offers even chopping, smooth purees, and perfect dough consistencies. Check out this video for the accessories available. I am 110% buying the coffee grinder to go with my Ninja Coffee Bar! Another feature I LOVE is that the system included a double-walled stainless steel blender cup that keeps your favorite frozen smoothies colder for up to 4 hours. My Smoothie is made in the steel cup, I place the sip & seal lid on it and I am out the door.